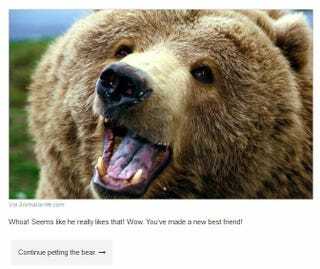 Clickhole has a lovely Choose Your Own Adventure where you determine if you would survive a bear attack. It's all actually really funny and I suggest going through it many, many times to see all the options and pages. I survived by offering the bear picnic baskets for life, but I haven't been able to find that option since... so odd?